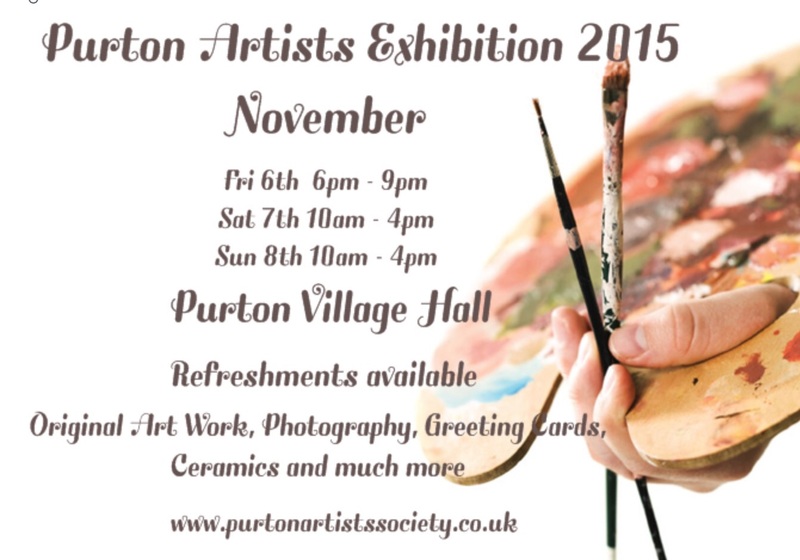 The Purton Artists Society are pleased to announce that the next autumn annual exhibition will take place at the Purton village hall on the 6th, 7th & 8th November 2015. With over 150 pieces of art hung on display and many more crafts displayed at the 2014 exhibition, you can be sure of another interesting and varied exhibition this year. The preview evening on Friday the 6th November, open to the general public, will start at 6.30 pm and run through until 8.30 pm. At the preview you will have the best opportunity of meeting all the artists together and, enjoy the free drinks and nibbles available. Why not make an evening of it and bring along family and friends. 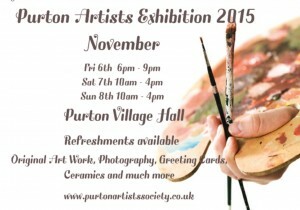 The exhibition then continues on Saturday 7th; 10.00 am until 4.00 pm and, finishes on Sunday 8th; 10.00 am until 4.00 pm.